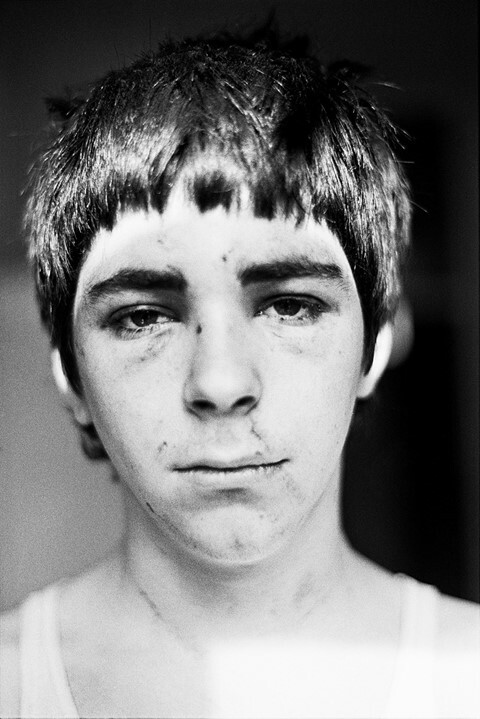 At a time when young people flood the streets to protest in the face of austerity; when the housing crisis is at its worst in decades, and youth culture is forehead-to-forehead with the anachronistic government, the images of Smiler (aka Mark Cawson) and the writings of Neal Brown could not be more poignant. Now, years since putting down his camera, Cawson’s rare and unseen images of the counterculture movement are being displayed for the first time at the ICA gallery. Iron Tory rule and social dissidence defined an era, where Smiler captured youth that inhabited London squats in the late 70s, 80s and 90s. For the young people at the time ­– artists, immigrants, students, addicts – squatting was a common way to avoid unnecessary expenditure in the city. An art student himself at Hornsey School of Art, notorious for its protesting students tired of a broken education system, Smiler lived in and explored occupied residences across London, documenting the characters he met along the way. The exhibition illustrates the squats of west London and Kings Cross, areas not yet on the cusp of the gentrification we witness today, sans Pret and luxury studio flats. 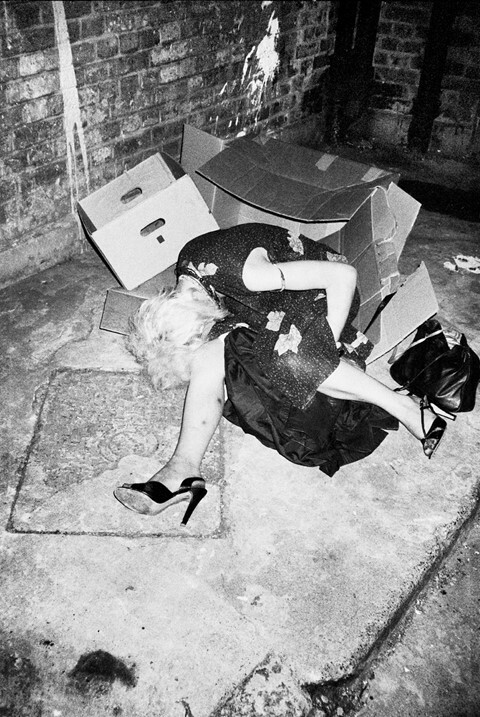 As someone who struggled with drug abuse and family issues, Mark Cawson used photography to guide his way: “I used the camera like a storm anchor helping me to navigate and freeze a spinning world of change and flux.” The pull of addiction pulsates through his images and Brown’s text: Smiler captures Diane, sprawled in a corner in King’s Cross like a provocative Guy Bourdin shot, two weeks before her death from an overdose, his images a bid to get through to her. Brown’s text is sadly punctuated by listings of friend’s deaths, sandwiched between tales of heroin, violent encounters and septicemia. Writing in short, sharp sentences, Brown captures the freefalling, radical movement of the time as they move from basement to alleyway, drug pick up, to sexual encounter. Through the walkways of abandoned council flat towers, basement rooms and old school houses, he illustrates the community spirit among the young squatters, at a time when he was “trying to manage a deep sense of alienation”. His portraits showcase the creativity and sexual autonomy of young people, creating an anti-establishment society of their own in the world's forgotten corners. Overexposed images snap the cheekbones and sharpened faces of youth that recalls the sharpness of Weegee’s black and white street photography, loosely tracing a way through the city with Smiler’s use of distance and fluidity. They were scavenging lives for themselves and laughing chaotically in the face of a government who swept them aside.